The meaning of history is about the purpose and goal of history. According to the Old Testament this involves redeeming humanity and transforming civilization toward an eternal hope of a world in which every longing is fulfilled and every fear is no more. 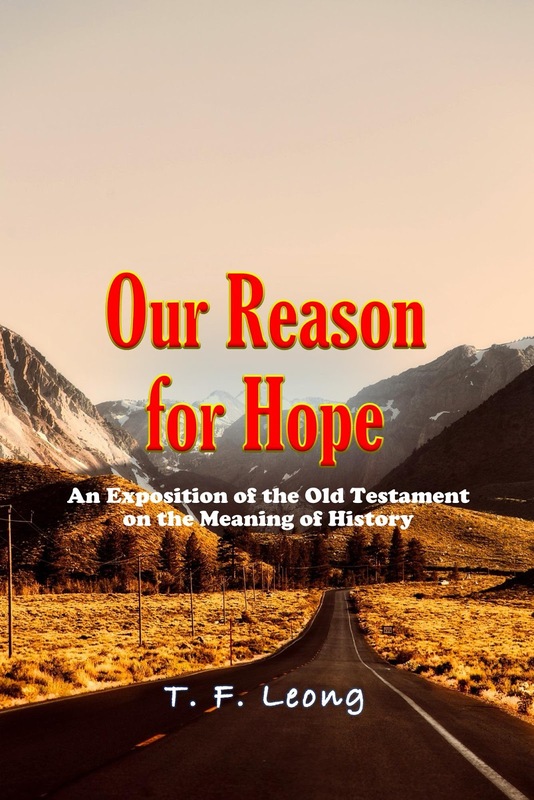 When the Old Testament is understood on its terms, it reveals a marvelous vision of that hope. To capture this vision as well as present credible reason for the hope, this book interweaves into one coherent exposition five strands of Old Testament studies usually separated into different books: theology, ethics, mission, history, apologetics. You are welcome to download a complimentary pdf copy of the book HERE. Hard copies are available at Amazon.com. T. F. Leong has been studying the relevance of the Old Testament to the Church and the world for over twenty years. He has an M.A. in Old Testament Studies from Wheaton College Graduate School and a Ph.D. in (ancient) Near Eastern Languages and Cultures from the University of California, Los Angeles.